The Oakland Raiders are parting ways with yet another player at the trade deadline. However, Dominique Rodgers-Cromartie is leaving on his own terms. Rodgers-Cromartie was selected with the No. 16 overall pick by the Arizona Cardinals in the 2008 NFL Draft. His career got off to a promising start in Arizona after earning trips to the Pro Bowl and Super Bowl. However, he was soon traded to the Philadelphia Eagles as part of the self-proclaimed ‘Dream Team’ they had assembled that offseason. Following the disastrous stint in Philadelphia, he managed to bounce back with the Denver Broncos with another trip to the Super Bowl. Rodgers-Cromartie soon found himself playing an integral role with the New York Giants. It was there that he earned his second career trip to the Pro Bowl in 2015. Unfortunately, things quickly went south in New York and he signed with the Oakland Raiders this offseason. 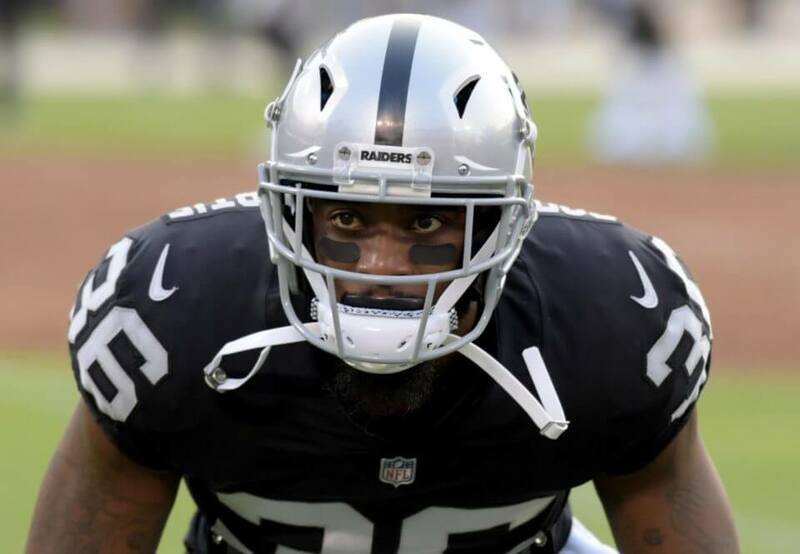 The veteran had largely played a minimal role in Oakland’s secondary throughout the season. He had registered eight tackles and two pass defenses this year before announcing his retirement. It is safe to assume that his zero snaps in Week 8 were the final straw.